In order to explain our worst day of the trip, I must first explain the scavenges. One of the bonuses, worth the most points (500), was to complete scavenges in the four primary countries: Belgium, Netherlands, England, and Ireland. This seemed like a no-brainer, and one that was easy to accomplish in four days. We all had to complete a mandatory scavenge in Cambridge, England, otherwise none of the points we earned would count. Within each country there were mandatory scavenges, in order to get the points for that country. As I mentioned in my previous blog, our first day was spent in Antwerp, Belgium, so we thought our second day would be spent in the Netherlands, and then we’d head to Cambridge, England and end in Dublin. We never bought a proper map and/or guidebook because the bookstore was closed, so we had no way of garnering distance. I really really wanted to go to Isle of Man. The Isle of Man is an island in between northern England and Ireland. It was listed as a bonus scavenge, and I’ve never been, so I perked up as soon as I read it. Mark was amenable to the idea, but without a map, a guidebook, or Google, we had no idea what we were getting into. On Monday, we woke up early and went to the train station to book our ticket to the Netherlands. That’s when we found out the schedule we had was not at all close to reality, and not only did we have an hour to wait until departure, but also the commute time was twice what we expected. So we bought tickets, but immediately afterward I started feeling like we’d made a mistake. We were about to take a 4-5 hour round trip just to eat lunch and leave? Was it worth 500 points, or would we be better off using that time to go to Isle of Man? We sighed again and went back to the counter. “What are our options for getting to London?” we asked. 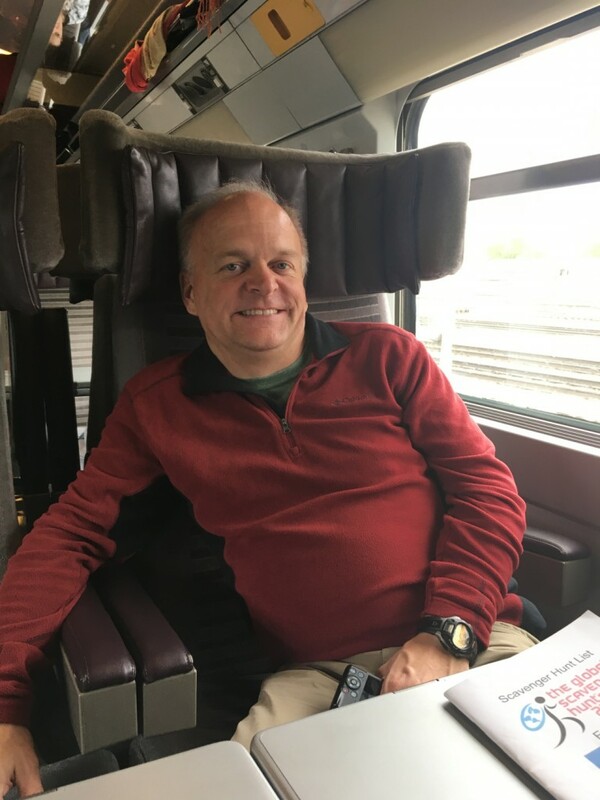 The noon Eurostar from Brussels to London was a high speed train that would get us there by 1:00pm (= 2 hours), but it was so expensive*. The overnight bus was one-third of the cost, but it would take ten hours to get to London, we wouldn’t arrive until the next day, and we wouldn’t be feeling strong after such a journey. We closed our eyes and handed over our credit cards, dry heaving internally. Netherlands tickets: gone. Bonus points: gone. Money: gone. Just as we made it through security and border control, waffles and chocolate at the ready, I reached inside my purse to take a photo and I realized my cell phone was missing. The feeling of panic that ensues is the worst. Something valuable is missing and I have no idea where it is feels just like there’s a giant grizzly in front of me and it might maul me to death. Obviously, a cell phone is a cell phone, but it was my brand new cell phone, with a camera I loved, and it was an attachment of my person. 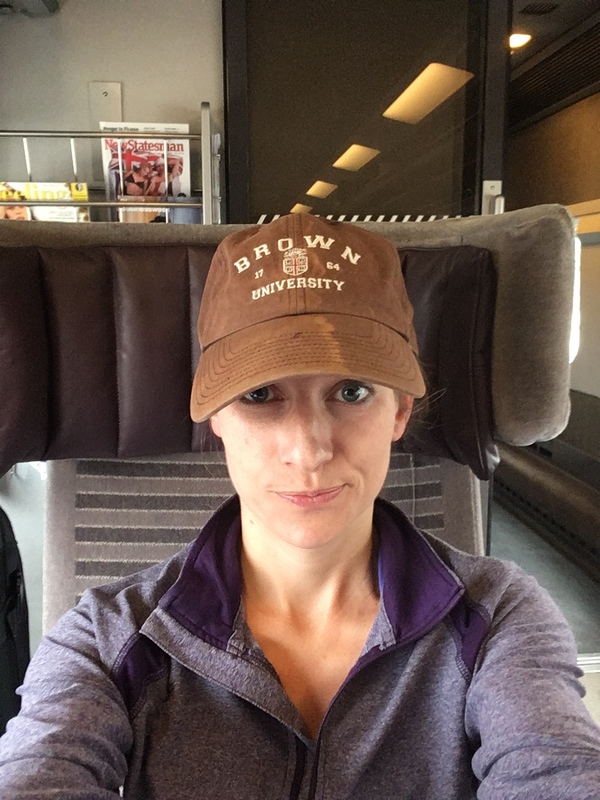 Naturally, that was the moment the train started boarding, so I ran back through border control and security, who basically said, “If you’re not back in five minutes, the train will leave without you,” so I did the quickest “PleasecanyouhelpmeIcan’tfindmyphone?” to at least four people, no leads. I had no choice but to board the train and leave the country. Mark was an angel and called the restaurant where we ate breakfast, the chocolate shop where I took my last photo, and he let me text my parents to let them know what had happened so we could file a claim. The worst part of the story is that we eventually discovered the ferries to Isle of Man weren’t leaving on Tuesday morning, so all of that rushing to get to the port city was for nothing; Isle of Man was a no-go. I played piano at St. Pancras Station in the heart of London (Bonus Scavenge: “Become a street performer for 15 minutes and earn two donations”). I even made 3.50 pounds. 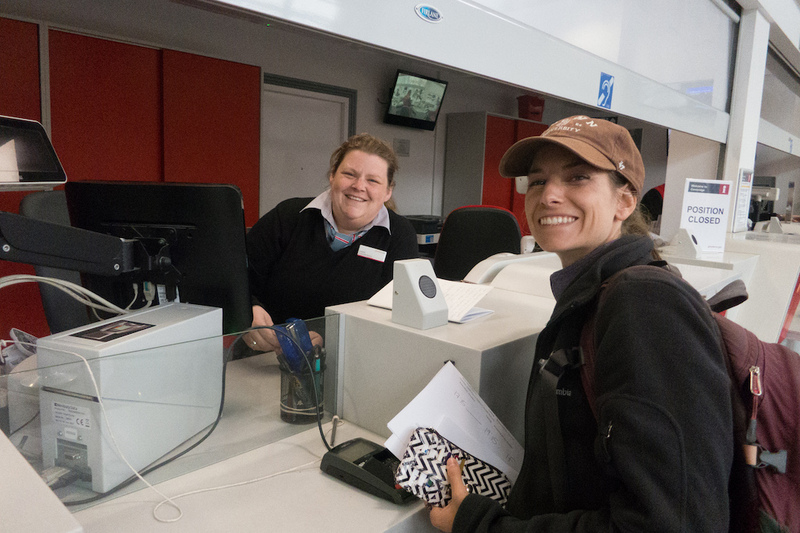 We met Laura, the Cambridge station information guru who spent 45 minutes with us figuring out every possibility to go to Wales to earn bonus points and still get to Dublin on time. She was the brightest star of the day! 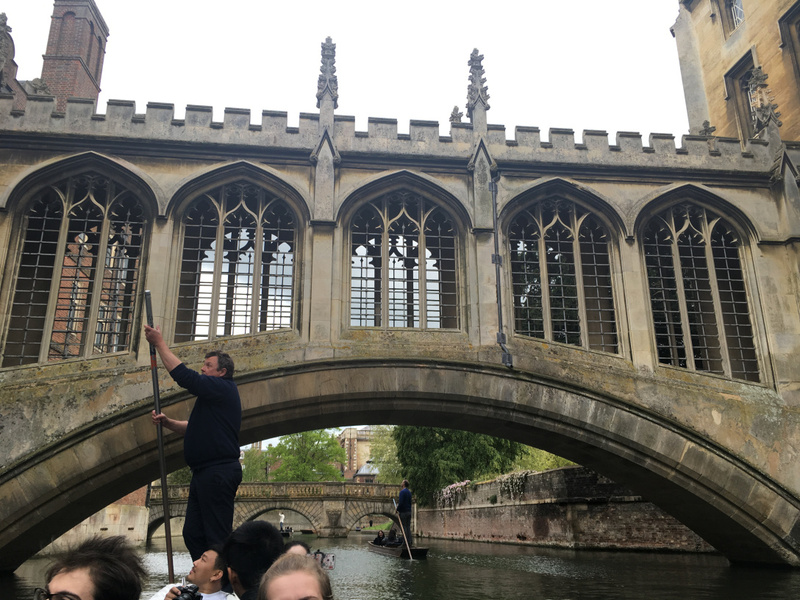 And then we met Julian, our punting guide through The Backs of Cambridge, who was fantastic. He answered half of my scavenge questions as we drifted down the Cam River behind all of the colleges. Julian was wonderful. And of course, Mark, who not only took care of logistics during the chaos, but also has loaned me his iPhone ever since, to use for pictures, alarm clocks, etc. He is truly great!